Melodic Death Metal turns 13 - Swedish metal band, Arch Enemy has been thrashing audiences for over a decade. 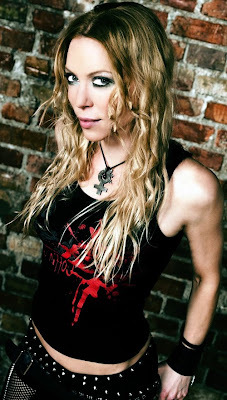 Angela Gossow, Arch Enemy's female lead singer, is celebrating the band's 13th anniversary by spilling her guts to Chicks With Guns Magazine. NP: "The Root of All Evil," is your eighth album to date, along with the band itself being around for 13 years, how does all of this make you feel? NP: When it comes to touring would you ever consider, touring with an all female run, i.e. 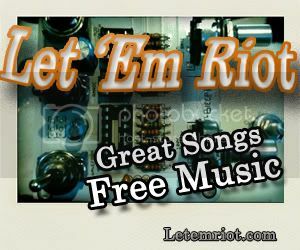 Arch Enemy, Kittie, Otep, Walls Of Jericho, In This Moment, etc.? Angela: I think all of those other bands are cool, I’m a fan of Walls Of Jericho, I like that tomboy attitude they tend to push out. But to have all those acts come together, you’d have to get the press informed and see what would happen. NP: Do you think music will ever come to exist in digital form only? Angela: It’s just the quality of the movement nowadays, and what the kids are into doing. But, a lot of bands are releasing their albums through vinyl, and I’m tired of collecting CD’s. I do go out and buy them, but to have a shelf filled with over 200 CD’s, and having to move those, it takes a lot of time. I do think it’s still cool that vinyl is back in the mix though. NP: Would you say that there has been a shift in your approach to songwriting over the past two years? How would you describe the change, if so? Angela: Each band tends to progress their sound and try not to repeat the same song twice. When you release a brand new product, you come up with new arrangements that end up sounding a lot better than your previous recordings. NP: What are your plans for the remainder of 2009 into 2010? Angela: We’re going to be touring in October, going over to Europe, and then over to Australia and New Zealand. When Christmas time arrives, we’ll be at home of course, and then come the New Year, we’re trying to see if we can come to the U.S. and tour out there. Angela: I like all the old recordings we did. Performing those re-recordings in a live setting really puts the perspective on the whole picture. NP: Are you looking forward to getting back to the UK/US? What are your favorite memories of playing over there and in the U.S.? Angela: I liked Canada, and the U.S. - very amazing and positive experience. While out In Europe, we’re not sure if they like the show or not, it’s just pure silence, but overall it’s a good show. NP: Is there any particular setting or festival in the UK that you’d like to play but haven’t yet? Angela: There are a handful of festivals that we have yet to set foot upon. We hope to play more festivals come next year. NP: If you could tour with one person or band, still going or broken up, who would you choose to tour with and why? Angela: We’ve already toured with Slayer and Megadeth, so another option would have to be Judas Priest. I love those guys! I actually got to meet them, and think it would be awesome to play with them. Angela: Everybody reading this interview right now - you rock, and keep a look out for us, we shall be invading your town and playing some shows for you very soon.